Here’s some info on ROMANTIC COMEDY SCRIPTS WANTED – be sure to read the specific details below! 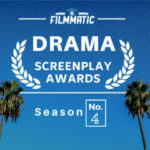 We are looking for completed, feature-length romantic comedy scripts by produced writers OR comedy scripts that have won or ranked in screenwriting contests. When pitching, please clarify whether you’re a produced writer or pitching a contest-vetted script in the personal message space. Note that we are only looking for material that was developed for theatrical release, not MOWs.